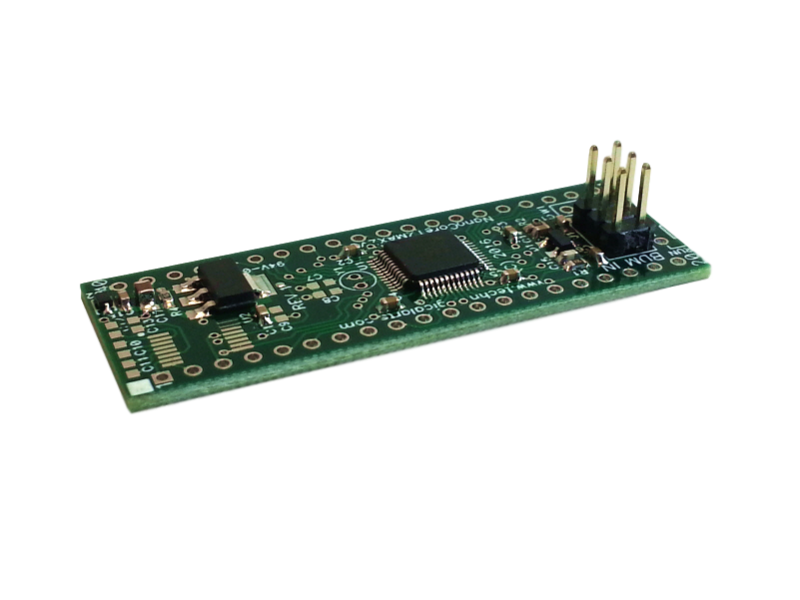 Designed primarily for automotive, robotics, mechatronics, and industrial applications, this module implements a fully-functional 16-bit microcontroller circuit in a convenient easy-to-use DIP format. Based on the advanced 16-bit Freescale/NXP S12ZVCA19 microcontroller, it offers unprecedented power and flexibility for a variety of applications, at a very attractive price. Suitable for educational and development applications. The S12ZVC microcontroller integrates a sophisticated S12Z core together with a 12 V to 5 V voltage regulator and a CAN physical layer for automotive and industrial applications such as sensors, actuators, switch panels or other user interfaces.